From 2010, Security Asia is being organized for five (5) consecutive years and has grown up as the biggest Security show of Pakistan. International Safety & Security Technology and Equipment Exhibition providing something for everyone within the security buying chain from manufacturers, distributors, installers, integrators, consultants to end users, which means you have the chance to find the perfect security solutions for your business needs. Must attend event for Security, Safety, Fire Protection & Rescue, Homeland Security & Policing, Information & Cyber Security industry. you'll find all the industry's latest trends, cutting-edge innovations and new products. With the globally unrivalled range of products in the Commercial Security, Information Security, Fire & Rescue, Safety & Health and Homeland Security & Policing. Most powerful brands of the world will showcase their state-of-the-art products and services which would allow visitors to get exposure to a wide range of latest technology solutions in the Defence and Security industry. 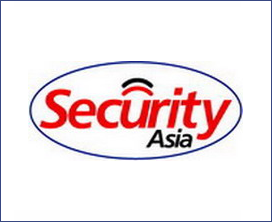 Security Asia is being held at Karachi Expo Centre, Pakistan. The event shall address the increased demands and requirements of the homeland security and policing, commercial security, information security, fire & safety and counter terrorism.